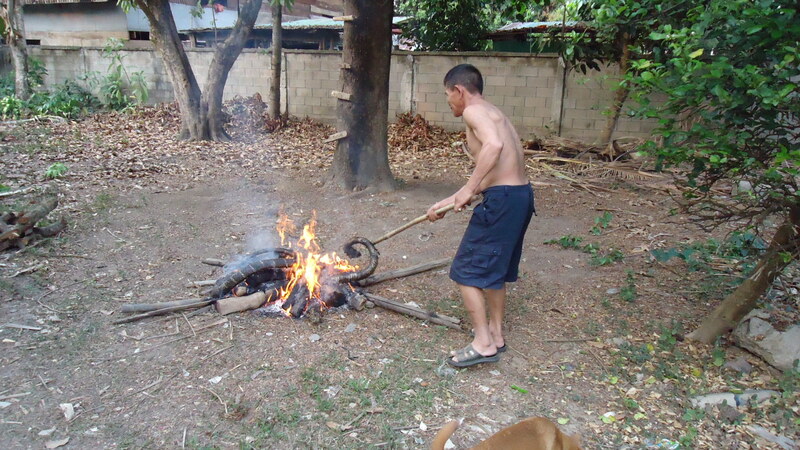 A large king cobra 3+ meters being thrown on a fire to be eaten by villagers. 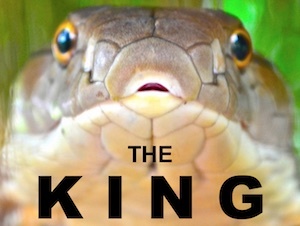 This photo is from 2001, but it shows the attitude some people have for king cobras – the top of the food chain becomes king cobra dinner. 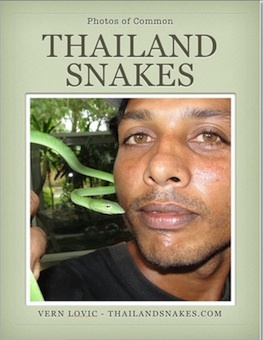 This snake was beaten and then shot with a gun to kill it before being thrown on the fire. Apparently he shared the meal with others in the village. Photo: Ken Duong.